So how can CBD slow tumor growth? What CBD product should I pick? Hearing that your dog has a tumor can truly shatter your heart. You may be in shock all of a sudden, and not know what the next steps are for your beloved companions future. In some cases, tumors may not actually be life-threatening to your dog, but in many cases, they can be. However, a lot of tumors that are found on dogs are actually benign. This is very positive news as benign it is not cancerous, and can be treated effectively with a variety of treatments that your vet will offer you. But if it is malignant, which means that it is cancerous then this can also be treated in some cases. If your dog does end up needing treatment for the tumor then there are a whole range of medicines to treat it, and this also includes CBD. CBD is a natural substance that is actually made from cannabis and hemp plants. 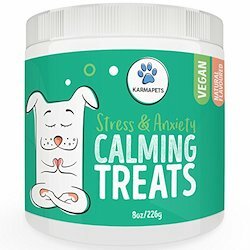 So let’s look at how CBD can help your canine companion. It is possible for everyone to get a tumor, so it doesn’t matter if you’re human, dog or even a fish. A tumor is formed by an abnormal growth of cells, after some time it will then form a lump on any part of a body. When the cells are growing they may also start to swell, and this is when it is then referred to as a tumor. There are two different types of tumors, which I discussed above, benign and malignant. Mast cell tumors: this is also referred to as MCT, and is a type of cancer that affects a type of blood cell. This cancer will only form on the skin of your dog, however, they are also able to form on other tissues, like the intestines. They normally grow at a fast rate, and their appearance can be red in color, plus, they will be very itchy for your dog. In fact, this type of cancer accounts for 16-21% of all tumors in dogs. There are specific breeds that are more prone to suffer from this, which are: Boxers, Pugs, and French Bulldogs. Lipomas: these are normally harmless and are usually left alone providing they don’t get in the way when your dog moves around. They are simply just fatty skin tumors, and they tend to grow underneath the skin. When you touch it you will notice that they are soft moveable lumps, but they shouldn’t cause any harm. 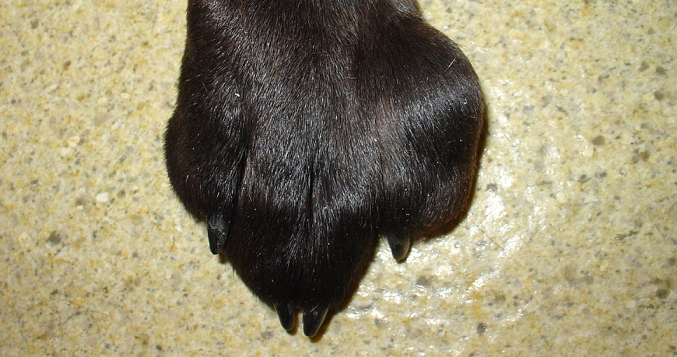 Osteosarcoma: this is a type of tumor that grows in the bones and can be extremely aggressive, as it will quickly spread to other parts of the dog’s body. This type of cancer can affect any dog, however, it seems to be more popular in larger dog breeds. If your dog starts limping then this could be a sign that they may possibly have this, and you should go and get it checked out by the vet. Histiocytoma: this type of tumor is usually benign, and they also tend to disappear on their own after just a few months of having them. However, in some cases, the vet may need to surgically remove them. This type of tumor affects the dog’s skin cells that are called histiocytes. You will notice a small raised growth that could either appear on the head, ears or limbs of the dog. The lump is normally painless, hairless and when you touch it you should be able to move it. But this really only affects dogs that are younger than three years. Hemangiosarcoma: This type of tumor can be very serious and can be life-threatening to your canine. It affects the lining of the blood vessels and will spread quickly. The tumor tends to start developing in the spleen, but it can also develop in vessels in the dog’s heart or even in their skin. It can damage your dog quite seriously, as it can cause their spleen to rapture, which can lead to more serious complications. Melanoma: This is usually referred to as skin cancer, and with this type of cancer you should be able to see it because it will be visible on the skin. They tend to be black or dark brown moles. There is some good news with this type of cancer, as they usually tend to be benign. However, if they are found in the mouth or nail bed then it can cause more of a risk because they can be more vicious. Lymphoma: This type of tumor is quite serious because they grow in the dog’s lymph nodes, which will cause them to swell. You should be able to notice this in your dog, as there will be a noticeable swelling either under the jaw, on the front of their shoulders or even behind their knees. These tumors don’t tend to be benign, so they are malignant, and your canine will be offered either chemotherapy, or they may be offered a combination of treatments, such as surgery and radiation therapy. Papilloma: These types of tumors should be visible to see, as they will appear to look like some type of cauliflower wart. They can appear on the canine’s lips, mouth, and also around their eyes. 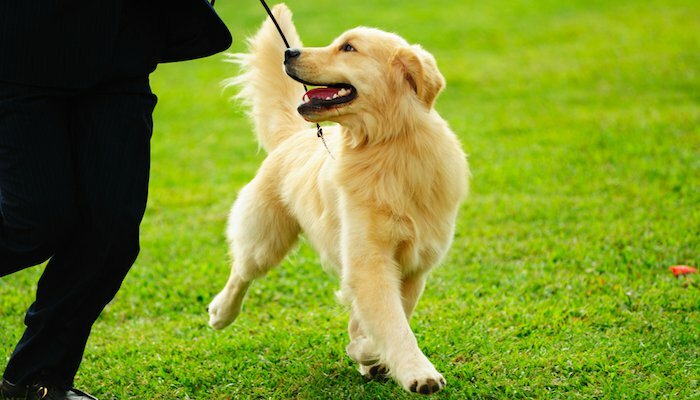 They are not very serious, but they can cause problems for your dog, as they can be painful for them, and if your dog rubs them or catches them they could easily become infected. After a few months, they should start to disappear, but your vet may offer to surgically remove them for you. These types of tumors are not malignant. There are a lot more types of cancers that dogs are able to get, and there is up to 30 different ones. The list above just mentions some of the most common ones. Each individual type of tumor comes with individual symptoms, so there is a lot to look out for, and sometimes you may think the symptoms of a tumor are actually symptoms of something else. However, there is some tumor that you will be able to instantly see, for instance, with melanomas, papillomas, and lipomas a clear growth will appear that will be visible to your eye. Although some growths might be quite small, so you will have to keep an eye out for them. This isn’t always the case though, as lymphoma cancer does not necessarily produce any symptoms, so you will not be aware that your dog has it, and this can make it very tricky to diagnose. But when lymphoma does affect the gastrointestinal tract there will be physical symptoms that you will be able to see, for instance, vomiting, diarrhea, weight loss, and a lack of appetite. If you think that your dog may have some type of tumor your first step is to take them straight to the vet. When you’re at the vet’s they will be able to diagnose whether or not your dog does have a tumor. They may run some of the following checks to see what type of tumor it is exactly: blood tests, urine tests, x-ray, ultrasound, CT scans, MRI scans, fine needle aspirate, fluid analysis, or a biopsy. If your dog is diagnosed with a tumor then there are different ways to treat it depending on what type of tumor they have. 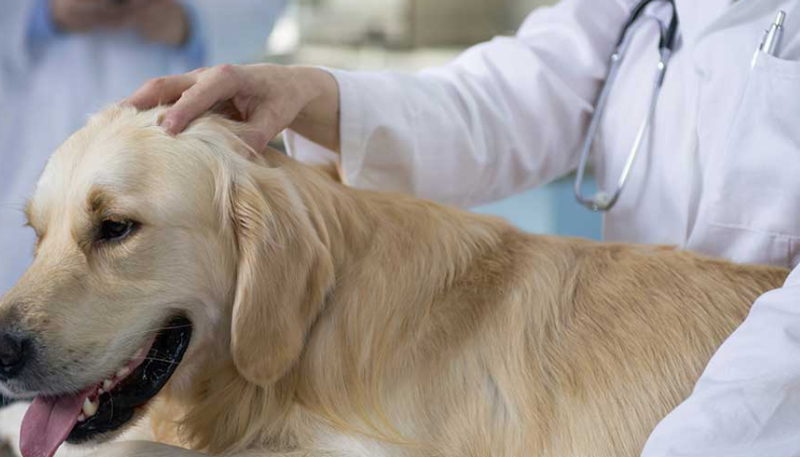 The vet may suggest chemotherapy for your dog or even surgery it all depends. CBD is able to help dogs that have tumors in two ways. Firstly, it is able to help your dog cope with the symptoms of cancer, as well as the side effects of the treatment, as it can be a very effective pain relief. Secondly, CBD has actually shown that it can slow down the growth and spread of malignant tumors. Blake Armstrong spoke to Cannabis Supplements For Pets about his experience with using CBD for his dog: “My dog Rosie was diagnosed with hip dysplasia and cancer. Obviously, I was devastated. But, determined to make her remaining years as enjoyable possible, I quickly began to look for ways to help support her treatment and her overall quality of life. Over the years research has been able to prove that when a dog has symptoms of vomiting, lack of appetite, pain, and lethargy it is able to solve these. This is all because of the endocannabinoid system, which is responsible for mediating the effects of endo and phytocannabinoids. This means that it is involved in many biological processes, and this also includes appetite and metabolism. Other research has shown that the endocannabinoid system is very much involved in the mediation of nausea and vomiting. The endocannabinoid system is made up of two receptors, which are CB1 and CB2. These receptors are all around the brain and the body of a dog. When the CB receptors are stimulated in the brain, as well as the GI tract it then is able to reduce nausea and vomiting. Research has previously suggested that this is because it binds to the 5-HT1A receptor in the brain. This helps dogs out that are going through the chemotherapy procedure dramatically, as it can help them regain their appetite. Not only this, but it is a very effective pain relief, and it can reduce inflammation dramatically. We all know that there are side effects to the majority of drugs; even if they help us the most there will always be a risk, whether it’s minor or major. Although there has never been any mention of side effects from a dog taking CBD there have from humans taking it. Therefore, you should consider that your dog could also have similar side effects to humans, which include: Dry mouth, tremors, low blood pressure, light-headedness, drowsiness, anxiety, pain, reduced appetite. 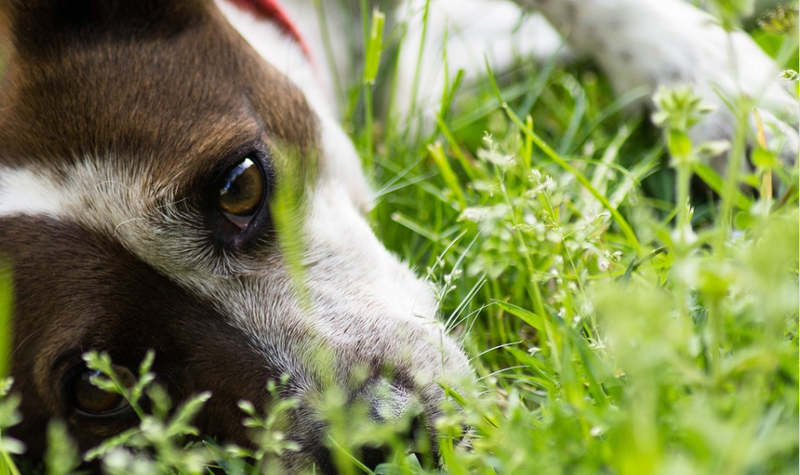 If you notice any of these symptoms from your dog then you should head to the vets immediately. You must also be careful with the dosage that you give to your dog, as there could be a couple of side effects from this, for instance, lethargy, lack of coordination and diarrhea. If you notice any of these symptoms then it’s best to check in with your vet, just to be on the safe side. However, it is very rare to have any side effects from giving your dog the correct amount of CBD. There has been a lot of research into this, and it has been proven many times that CBD can, in fact, reduce the spread of growths, as well as slow the tumor growth down. It is able to do this by impeding angiogenesis into the tumors. Angiogenesis is the process of when a new blood vessel is formed. If your dog was diagnosed with malignant cancer them the tumor would be able to produce their own blood vessels, which would then allow more blood to the tumor and keep the cells alive. It has been proven that CBD can restrain this process in a range of ways. Other studies have also shown that CBD can actually help slow down the rapid multiplication of the cells in the tumor. There are many reasons why some people may be concerned about giving their dog CBD, and some may even relate it to marijuana, but don’t worry CBD will not make your dog high. This is because CBD has less than 0.3% THC, therefore, it is impossible for anyone to get high from is, as it is not psychoactive. If you want to give your dog CBD then you should find the right dosage for the correct size of your dog. On the product, it should, in fact, tell you the amount to give them. There is a range of different ways that you can give your dog CBD, whether it’s in a treat, a spray or even from a capsule. If you were to use the CBD spray it might take a while to adjust the dosage, and you should see how your dog responds to first before you increase the amount that you give them. 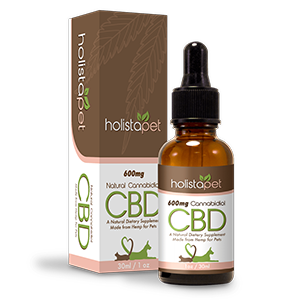 Other pet owners have also used CBD on their canine companion, and a lot of them have had a lot of success with it. Not all of them have actually used the substance on their pets because they were diagnosed with a tumor or cancer. In fact, some people have used it to help their pets with anxiety and eating problems. Robin had a dangerous cancerous tumor just around his ribcage. Her owner said: “ There was a massive fatty tumor on my dog’s rib cage under his right arm it was stretching out his whole abdominal area. The vet diagnosed the tumor to be cancerous. The inflammation has been visibly reduced since using CBD oil, and it has been shrinking ever since. There is a whole industry out there of CBD products, and it can prove to be quite tricky over which ones are the best products for your canine. 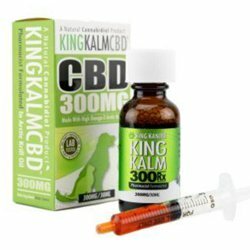 There are two that are highly recommended by Cannabis Supplements For Pets, which are the King Kanine products and HolistaPet products. 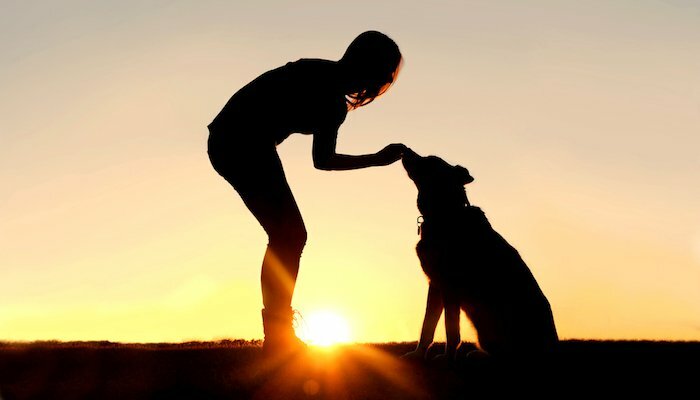 Before you give your dog CBD make sure that you have checked with a vet to see if it is okay to give to your dog, and whether or not your dog is suitable for it. Plus, they will also be able to give you advice about the correct dosage for your furry friend.